The digital wonders of the internet are only made possible by physical infrastructure: buried fiber-optic cables. But rising sea levels pose a threat to that very foundation. “The expectation was that we’d have 50 years to plan for it. We don’t have 50 years,” says Paul Barford, a UW–Madison professor of computer sciences who recently published the first assessment of how climate change could affect the internet. Paul Barford, UW professor of computer sciences. 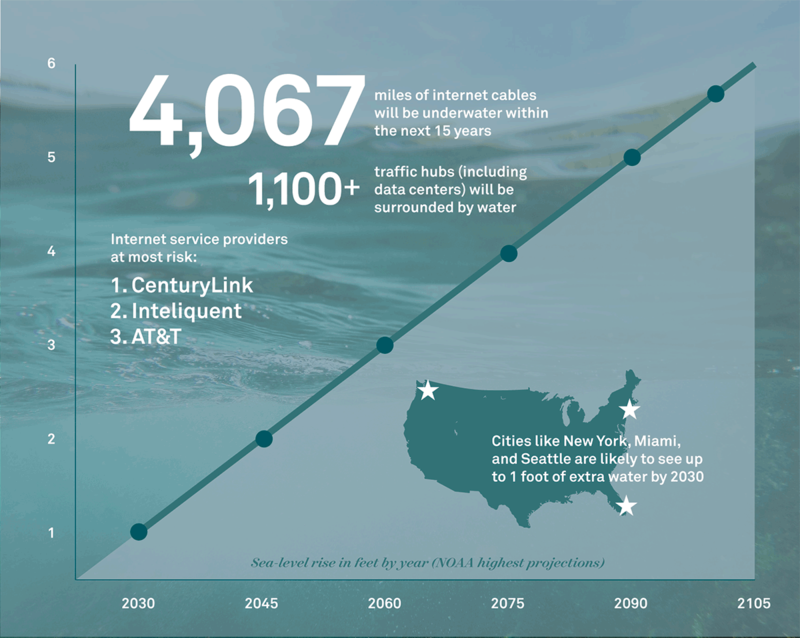 Thousands of miles of buried fiber-optic cables are located in densely populated coastal regions of the United States, connecting with data centers, traffic exchanges, and termination points to form the vast global information network. The cables are designed to be water-resistant, but unlike the marine cables that ferry data from continent to continent under the ocean, they are not waterproof . This critical communications infrastructure could be submerged in as soon as 15 years, according to Barford, who conducted the study with Ramakrishnan Durairajan MS’14, PhD’17 and Carol Barford, who directs the UW’s Center for Sustainability and the Global Environment. The researchers combined data from the Internet Atlas, a comprehensive global map of the internet’s physical structure that Paul Barford and others previously created, and projections of sea-level incursion from the National Oceanic and Atmospheric Administration. The effects would ripple across the internet, says Barford. Much of the infrastructure follows long-established rights of way, typically paralleling highways and coastlines. “When it was built 20 [to] 25 years ago, no thought was given to climate change,” he adds. 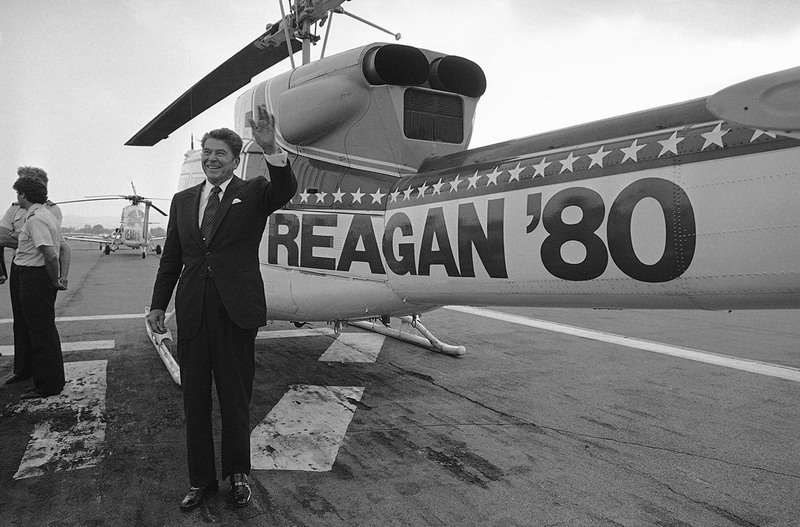 The Reagan Era takes wing: Ronald Reagan waves to supporters at Van Nuys Airport before a set of presidential campaign rallies in the Los Angeles area in October 1980. For the sake of learning — and with occasional family healing — a UW history course is asking students to turn their parents into historical subjects. Professor Jennifer Ratner-Rosenhagen’s History 221 course, The History of Your Parents’ Generation (1970s–90s), tackles a tumultuous few decades through a generational lens, assigning students to interview their parents (“compelling figures in the drama of American life in their own right,” the syllabus states) about their upbringing and their memories of music, fashion, and historic milestones. Responses have ranged from the stereotypical — dads waxing poetic about Bruce Springsteen, moms admitting to wearing disco sequins — to the unexpected. One student learned that her mother, a nurse, rushed to the front lines of the AIDS crisis in the 1980s to work at a specialized clinic. The mother cried as she recounted the death, terror, and antigay backlash she witnessed. Another student leveraged the assignment to ease tensions between a mother and grandmother who hadn’t spoken to each other in years. One student even found out about a half-sibling for the first time. She challenges students to keep their parents’ answers in mind during the course’s traditional lectures and readings, which cover the cultural fracturing and economic upheaval — or the “great shift” — that defined the ’70s and ’80s. The course concludes as it started, with students conducting follow-up interviews with their parents and connecting them with subject matter from the course. Lindsey Brugger ’18, who took the class in 2016, wrote her final essay on childhood nostalgia and its association with political identity. She posits that her father’s happy upbringing on an isolated farm may have contributed to his lasting fondness for Ronald Reagan, even though he can’t recall any of the former president’s policies or actions. Over its 17 decades, the UW has taught hundreds of thousands of students — some 600,000 have earned degrees, each one influenced in one way or another by at least one instructor. Some faculty members come and go; others stick around and become legends. According to the Secretary of the Faculty’s Office, eight current UW–Madison professors have served for more than 45 years. The odds are pretty good that you took a class with one of them. UW–Madison is rightly proud of its faculty. Its professors include some of the world’s brightest minds. UW faculty have brought home an impressive collection of hardware over the years, including seven Nobel Prizes. Most recently, UW scientists contributed to UN’s International Panel on Climate Change, which won the 2007 Nobel Peace Prize. But the UW very nearly hired two others who were destined to win Nobels. Both of them slipped through the university’s fingers in a two-year period. In the first half of the 20th century, the University of Wisconsin had one of the nation’s leading economics departments. Under John Commons, UW economists wrote some of the most influential documents of the Progressive Era. Among other things, Commons’s disciples — including Edwin Witte 1909, PhD1927; Arthur Altmeyer 1914, MA1920, PhD1931; and Wilbur Cohen 1934 — helped to create the Social Security System. The “Wisconsin school” of economic thought helped to guide the New Deal. In 1940, the UW’s prominence attracted a bright, young academic who was still finishing his doctorate at Columbia. 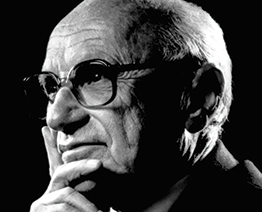 Milton Friedman came west at the invitation of Selig Perlman 1910, PhD1916, one of the country’s leading labor historians. It soon became apparent that Friedman was a difficult fit with the rest of the faculty. Steeped in statistics, he found Wisconsin’s emphasis on studying institutions and policy to be unsophisticated and unscientific. His UW colleagues, in turn, sneered that he was merely a mathematician. In 1941, the conflict came to a crisis. 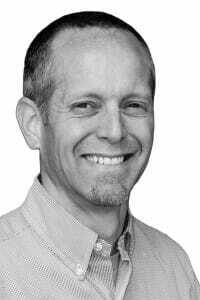 Perlman nominated Friedman for an associate professorship. But Friedman had recently put together an informal assessment of the department, and it wasn’t complimentary. George Sellery, dean of the College of Letters & Science and a Wisconsin-school economist, objected to hiring Friedman. He warned Witte, the department chair, that Friedman would “arouse extreme bitterness in the department of agricultural economics and the School of Commerce,” according to a Daily Cardinal story that May. When Friedman insinuated that the UW’s reluctance to hire him was due to anti-Semitism, the relationship was poisoned. He left Madison to work as a statistician for the War Department through World War II, then joined the faculty of the University of Chicago, helping to establish the Chicago school of economics, which is today one of America’s most influential. In 1976, he received the Nobel Memorial Prize in Economic Sciences for his work on consumption analysis and the history of money. Feynman would never take up the post, and the UW would not be able to send a press release explaining why. The university had granted him leave so that he could work on the greatest national secret of the age: the Manhattan Project. 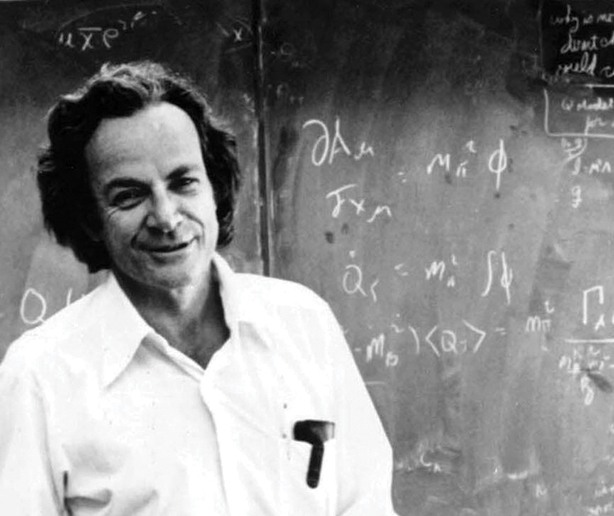 As an undergrad at MIT, Feynman had made a name for himself as a brilliant nuclear physicist. Even before earning his bachelor’s, he was already developing the theories about the behavior of subatomic particles that would earn him a Nobel Prize in physics in 1965. That reputation also drew the attention of Robert Oppenheimer, who recruited him to join the effort to build an atomic bomb. Instead of going to Madison, Feynman relocated to Los Alamos, New Mexico, and he spent the rest of the war solving problems in atomic fission. In June 1945, an impatient Mark Ingraham, dean of the College of Letters & Science, sent Feynman a letter demanding that he return to campus and start teaching classes. Feynman stayed in Los Alamos and, a month later, watched as the first atom bomb detonated. After the war, he easily found work with Cornell and then Cal Tech. During the decades after the war, Feynman became a star in the field of QED, or quantum electrodynamics. His work was recognized by the Nobel Prize committee, which granted him a joint prize along with other QED pioneers Julian Schwinger and Sin-Itiro Tomonaga. In April 2016, Tony Stretton’s lecture to undergraduate biology students began on an ordinary note, until members of the UW Varsity Band marched into the room with a surprise salute in honor of his 80th birthday. Stretton wiped away tears of joy as the class clapped and cheered, a wide grin on his face. At an age when most professors have the word emeritus attached to their titles, Stretton, a professor of zoology, still relishes his work with students both in and out of the classroom. “I’m very lucky to have the job I have, and it’s tremendous fun,” he says. This fall, Stretton is starting his 47th year of teaching at UW–Madison, using science as a vehicle to impart his unflagging love of learning and discovery. Yet he finds as much meaning in the people he encounters as in the pursuit of knowledge itself. Stretton trained in his native England during the advent of molecular biology, and his list of colleagues is a Who’s Who of the biologists enshrined in textbooks. As a young scientist, he started working in the same lab as Francis Crick just a few years after Crick and James Watson reported the structure of DNA, work that would earn them a Nobel Prize. Now Stretton is teaching students two to three generations his junior in one of the hottest undergraduate programs on campus — brain science. Student interest in neurobiology at the UW has steadily grown since it was introduced as an option for biology majors nearly 20 years ago. That interest supported the launch of a new neurobiology major last fall, which has seen rapid growth. More than 450 students enrolled in the first year. The brain represents a worthy challenge for anyone looking to push the boundaries of human understanding. And with technological advances in recent decades, “you’re able to ask questions that were inconceivable when I was a kid,” Stretton says. His own research focuses on how tiny but abundant bits of protein, called neuropeptides, work in the nervous system to drive behavior. He is spurred on by the puzzle of figuring out how many complex pieces fit together to add up to the wonder that is a living creature, even a simple worm. “He’s just so curious about everything,” says Jennifer Knickelbine ’10, PhD’17. She joined his lab as an undergrad to help prepare for medical school, but was so taken with the process of inquiry — and Stretton’s contagious excitement about it — that she ended up staying after graduation. This spring she earned her doctorate, likely as Stretton’s final graduate student. His lab has at times become a refuge for students struggling to find their place. Joanne Yew PhD’03 joined Stretton’s research group midway through graduate school, when she faced serious doubts about her future in research. “I thought about quitting science,” she says. Yew now runs her own lab at the University of Hawaii at Mānoa. “It’s tremendous in a mentor, that whatever you say, you know you’re not going to disappoint him,” she says. For students willing to put in the effort, Stretton creates opportunities to succeed, from extensive office hours in campus cafés to “second chance” exams that offer opportunities to boost grades. He received an Undergraduate Mentoring Award in 2016, bolstered by more than a dozen glowing letters from alumni. Yet Stretton would say he has gained as much from his students as they have from him. He estimates that he’s taught some 20,000 undergraduates, in addition to a couple dozen graduate students and several postdoctoral trainees. More than 6,000 miles from his home country, the People’s Republic of China, Fuxian Yi receives messages on social media from panicked women. All have differing versions of a similar dilemma. One woman, concealing the pregnancy of her second child from her employer, fears that officials will subject her to a forced abortion if she’s found out. She could lose her baby, her job, her relationships, and her home. Yi offers the best guidance he can: Take prenatal vitamins. Seek out sympathetic doctors. Reach out for help to lawyers and journalists — there’s a short list he trusts. Be brave; carry the pregnancy to full term. A physician by training and a senior scientist at UW–Madison’s Department of Obstetrics and Gynecology, Yi has for years been a vocal advocate for abolishing the one-child policy in his native country. Beginning in 2016, China offered couples the right to ask for permission to have a second child, but even as the population-control policy relaxes, Yi continues to call on the Chinese government to scrap it altogether. Yi treats China like a patient: he’s spent 17 years evaluating and diagnosing the world’s most populous nation, and what he’s found has turned him into a dissonant and powerful voice in the debate about its one-child policy. And according to his calculations and projections, his patient’s outlook isn’t promising. For the last four decades, authorities across China have been accused of intimidating women, as well as practicing forced abortions, even in late-term pregnancy at eight months and beyond. This alone draws deep international criticism, but equally startling is Yi’s research, which concludes that not only will population growth slow — which is precisely the aim of the policy — but the trend will accelerate and cause China’s population to fall into steep decline. Essentially, China’s family-planning policies will undermine the country’s social stability and sustainable development right at the peak of its economic boom. Yi’s population research and predictions differ from those of the Chinese government, and his accuracy has made him controversial. His first book on the topic, Big Country with an Empty Nest, was banned from mainland China after its publication in 2007 in Hong Kong due to its strong criticism of the one-child policy, the policy’s history, and, by inference, the government’s tight grip on family planning. Fearing punishment if caught on Chinese soil, Yi didn’t travel to his home country for 10 years. But international communication, accelerated by blogs and social media, are transforming his public image from traitor to truth-seeker. Now Yi and his views are slowly becoming more mainstream, thanks to gradual, changing attitudes in China. In recent years, he has regularly shared his opinions and data with 140,000 followers on Weibo, a Twitter-like platform in China. Some of his articles have racked up more than 10 million hits online. In 2010, Yi returned to China. He didn’t exactly receive a warm welcome — the one-child policy was still in place — but he was invited to give 13 lectures at the country’s top universities. He discreetly attended a talk featuring a leading proponent of the one-child policy and original author of the “open letter” in 1980 that set that policy in motion. That official spoke disparagingly about Yi’s ideas. Thirty minutes passed. The official didn’t return. Yi later learned the official snuck out of the building’s back door. Yi heard from a friend soon after that the police were supposedly searching for him. Sensing he should leave immediately, he fled by train to Shanghai. All Yi wanted to do was discuss the facts. When talking about his family — his parents, siblings, wife, and three children — Yi flashes a sprightly smile and expressive eyebrows behind brown-rimmed glasses. He jokes about how simple his needs are: a green landscape, like Madison’s in the summer, which reminds him of the lush scenery of the village he grew up in. And personal freedom, something he feels should be a right for all people. As one of seven children growing up in rural Hunan, Yi was isolated by mountainous terrain. China’s enormity and diversity leave it decentralized and often shaped by the interpretations and agendas of provincial and village leadership, making his home more tolerant of dissent, but also miles away from electricity and modern medicine. When Yi was an adolescent in the 1980s, he and his family were shocked by the sudden death of his sister-in-law. The tragedy inspired Yi to drop his focus in economics and enroll at Hunan Medical University, an institution cofounded by Yale University in 1914 to improve people’s lives. Over time, Yi’s optimism for general medicine evolved into a passion for medical research, increasing the number of lives his work could affect. He swapped his stethoscope for a microscope and pursued a master’s degree and PhD in pharmacology from the same university. In 1999, postdoctoral positions at the University of Minnesota–Twin Cities and the Medical College of Wisconsin brought Yi to the United States. By then, his wife had given birth to his oldest child, a girl. The couple relished being free from the one-child policy; they had two boys in the following decade. Yi’s reputation as a skilled researcher landed him a position at UW–Madison, in a lab focused on improving health outcomes of women and their babies. In 2002, he began studying preeclampsia, a medical condition that causes hypertension in pregnant women and puts the health of mother and baby at risk. He’s become one of a handful of experts who are proficient in using biological dyes to track preeclampsia-related dysfunction at the cellular level, looking at what happens when blood vessels over-constrict. Under Ian Bird, professor and vice chair of the Department of Obstetrics and Gynecology, Yi is a part of a team developing drugs that repair hormonal signals needed to make blood vessels function properly. Bird had no idea about Yi’s extracurricular activity. To understand the health of their patients, doctors typically gather vitals: pulse, body temperature, blood pressure, respiration, and family health history. Similarly, Yi has adopted a biology-inspired framework to study China as though it were a living, breathing organism. He explores how several complex inputs can lead to flourishing or decay. Not all of Yi’s methods are entirely novel to the field; rather, it’s his holistic approach that’s brought him notoriety and controversy. When Yi released his first book, one of the claims he tackled was from the country’s National Population and Family Planning Commission, which stated that without family planning, China’s population would surge to 4 billion people by 2050. Yi’s research suggests the claim lacked validity and can be viewed as good intentions gone awry. Yi knew as an MD that the infertility rate in China had increased by tenfold in the previous 30 years. Now one in every eight couples is physically infertile. Then there are social factors to consider, including a growing middle class with equally growing appetites for wealth and comfort, increasing costs of raising children, delayed childbearing, and the country’s aging population. By using multiple diagnostic indicators, Yi argues that had the population control policy been scrapped completely in 1980, China’s population would have peaked at about 1.6 billion — not 4 billion — and then gradually declined, meaning no population-control policy was necessary to accomplish what the government set out to achieve. When Yi first began to share his research with demographers and officials in the early 2000s, they figured his conclusion was the outlier, not theirs. But after Yi began blogging about his experiences, interest spread until his posts and articles reached millions of people. Media calls poured in, focusing on the consequences of China’s rapidly aging population. In 2013, a new edition of Yi’s book was released by a publisher under the Chinese State Council and was picked as one of the 10 best books by Xinhua News agency, China’s largest official press agency. The government, institutions of higher education, and libraries have all requested copies for their collections. Then came invitations to regional and global conferences. Yi has spoken at the 2016 Boao Forum for Asia, an event for thought-leaders in government (including China’s prime minister), industry, and academia. And he has been interviewed by hundreds of media, such as the New York Times, the Wall Street Journal, National Public Radio, and the British Broadcasting Corporation. He has submitted research to peer-reviewed journals in China and sent copies to almost every member of the national parliament, many of whom expressed support and began submitting policy proposals based on his work. Yet it’s unlikely the government will publicly support Yi. Instead, he has noticed that official predictions are tweaked each year and are gradually matching his findings. Yi considers China’s family-planning policies symptomatic of a political culture that’s still averse to dissent and entrenched in control. The 1994 International Conference on Population and Development put an end to the concept of population control and prohibits all forms of quotas, coercion, and violence. But even though China relaxed its limit to two children in 2016, it is still imposed in the form of quotas, and it’s unclear whether the policy will continue to support forced abortions, coercion, and violence. Such threats hit close to home for Yi in 2006, when a relative conceived a second baby by chance and went into hiding during her last trimester to avoid detection. Eventually, she was detained, hospitalized, and slated for a forced abortion. Yi was able to arrange her escape. But another relative was not as fortunate. Yi says local authorities boasted about her forced abortion as a “political accomplishment.” The relative’s name was made public to deter others considering an illegal pregnancy. In 2015, Yi was blocked by China’s National Health and Family Planning Commission (NHFPC) from publishing his third and fourth books. In recent months, Yi’s blogs and social media accounts hosted by companies in China were also shut down at NHFPC’s request. But he says that severing his access won’t stop the movement. As the data pile up, the prognosis for China’s population isn’t good. Jonathan Song, a friend of Yi’s, remains inspired by the lengths Yi has taken to stay connected to the issue and save lives. Despite China’s expansion of the two-child policy, the majority of couples still aren’t buying it. And, Yi fears, it might be too little, too late. It comes down to Total Fertility Rate (TFR), or the average number of children birthed by one woman. In order for populations in developed countries to maintain themselves, the TFR needs to be around 2.1, where each couple has around two children to replace them. But not all children grow up to have children of their own. Because China’s infant mortality rate is higher than in other developed countries, it needs a higher TFR (around 2.2) in order to replace its population. Yi says the forces that drive the rate are similar to the kinetic energy and momentum that govern an object when it rolls off a cliff: if it slips below replacement rate, a country’s population could fall into decline. There are several inputs that factor into the equation, only one of which is a government’s decision to implement population-control policies. This is why China is far from alone in facing population decline challenges. The United States (where TFR is 1.84), Russia, Japan, and South Korea are also projected to experience population declines, albeit at slower rates. These declines will gradually shrink these nations’ workforces and economies. China has already been pushed off the metaphoric cliff with its population decline, says Yi. What’s unique about China’s decline compared to other countries is its speed. Survey data suggest that China’s TFR was as low as 1.05 as of 2015. It might, under the two-child policy, temporarily rise to 1.3 in 2017, but the population will still decline in the long run. Having just one or no children at all has become the social norm in China. For decades, China’s economy has catered mostly to one-child families, creating greater demands (and prices) for commodities such as housing and education. With little time to adjust, the coming labor crash could send economic shockwaves throughout the global marketplace. China wanted fewer people in an effort to alleviate its fear of overpopulation. However, Yi believes, its policies will cause China to lose economic vitality and increase instability. It will lose the ability to adapt. A couple decades from now, Yi thinks the world, China included, will look back on China’s population-control policy and wonder why humans made such a stupid choice. He wonders if we’ll look back to reflect on the loss of life and potential, both personal and societal, of those negatively affected by the policy — a policy he thinks wantonly violates morality, both individually and collectively. Danielle Evans is no stranger to praise. 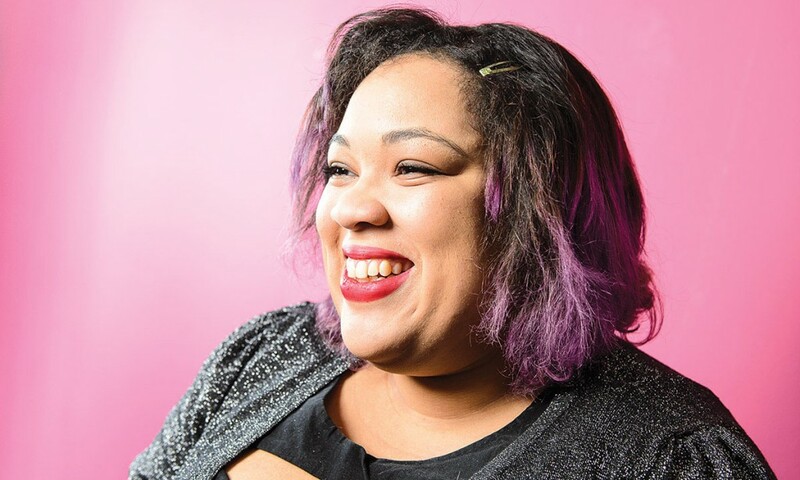 During her 33 years, the UW assistant professor of creative writing has graduated from the Iowa Writers’ Workshop, been featured in The Paris Review, and published a wildly successful 2010 short story collection about race and coming of age in 21st-century America, Before You Suffocate Your Own Fool Self . The northern Virginia native is finishing her debut novel. Washington, DC, and northern Virginia play an important role in your writing. What makes this region unique? There’s a certain kind of weirdness to being in a place that is in constant flux. People move in and out of that whole area, and even if they stayed there a long time, [they] will say they might leave. That transience is interesting to write about. I have learned to be interested in movement. A lot of characters that I write, they’re not putting down roots. You also write about millennials. What are some of the main struggles they face? There is something happening generationally where a lot of the things sold to us as “adulthood” don’t exist in the way they did. Knowing when you have settled [down] isn’t true in the way that it would be if you expected to buy a house, get married and have kids, or have the same job for 20 years. We don’t believe that there is necessarily a future out there that — if we did the right things — we could get. How do you conceptualize race in your work? There are stories where the characters’ racial identity is really central — and part of the story is a negotiation of that — and there are stories where the characters are given a racial identity but the conflict is something else. I think both of those kinds of stories are important. One of the things about racial identity is that it, for a lot of people, includes a constant awareness that, at any moment, what’s not about race could become about race. That anxiety about when race can come into your life is part of identity. It’s part of how people move through the world, even on days that are not about conflicts that explicitly involve race and racism. Why did you come to teach at the UW? What brought me here was feeling how special this department was, and seeing what the students coming into this program were doing. There are a lot of great people here. I wanted to be in a space where I could help students [become] full-time writers and where we could recruit and compete for the top applicants. “Every variety in this country, almost every one of them is susceptible [to late blight],” explains Jiming Jiang, a UW–Madison professor of horticulture. This includes Atlantic, Red Norland, Yukon Gold, and Russet Burbank of McDonald’s french fry fame. As it turns out, a hardier potato does exist. Back in the mid-2000s, Jiang and colleagues developed a series of potatoes that could survive late blight without sprays. But the improved plants never made it to the commercial market — they were made using genetic engineering (GE), and at that point, no GE vegetables had yet been approved. And public opinion wasn’t favorable. It still isn’t. “You’re powerless, and you accept it,” says Jiang. Genetically engineered foods have been part of the American diet for 20 years now, and there is strong scientific consensus that they are safe to eat. This was confirmed in a recent report on GE crops produced by the National Academies of Sciences, Engineering, and Medicine, which took into consideration nearly 900 scientific publications and other evidence and testimony on the topic. “As a scientist, I look at it and I think [some GE crops] are extremely innovative, providing creative solutions to complex problems. … I have no problem with them at all,” says Goldman. “But at the same time, I’m sensitive to those arguments that people make about what they want to eat and what they don’t.” Potato farmers had some tough years in the early 1990s, with climatic conditions just right for late blight: a wet spring followed by a cool summer. And then 1994 hit. Jiang teamed up with John Helgeson PhD’64, who was a UW professor of plant pathology at the time, to explore the one silver lining to the devastation at Hancock station: a wild potato plant from Mexico had survived in the test plot, suggesting that somewhere in its genome it possessed a resistance gene to the late blight pathogen. The technique capitalizes on a type of bacteria that infects the roots of plants and inserts its own DNA into the plant’s genome. Scientists figured out how to piggyback on this functionality to insert desired genes into a plant’s genome at random locations. Then, as the plants grow, the researchers look for healthy ones that also express the new gene. Scientists started developing GE technology for plants in the 1980s, and the first commercial genetically engineered crop — the Flavr Savr tomato — showed up in grocery stores in 1994. The product didn’t last long, as consumers found the tomatoes didn’t have much flavor to savor. Over the next couple of years, the first varieties of genetically engineered corn and soybeans were released. “The potato in many ways is like a wine grape. You have a variety, a cabernet or whatever, it’s like 400 or 500 years old. [Vintners] don’t want to change that,” explains Jiang. “The potato … is like this. Burbank, it’s a terrible variety [in some ways]. It’s susceptible to every disease. However, McDonald’s wants [Burbank].” We can expect a deluge of new genetically engineered products in the coming years with the growth of new techniques, particularly the cheap, easy gene-editing approach called CRISPR. (See sidebar below.) The potential seems nearly limitless, and many plants will have traits that consumers value: more healthful vegetables with more phytonutrients; crops that don’t turn brown as fast after they have been cut, reducing waste; crops that fix their own nitrogen, so they don’t require much fertilizer. Genetic engineering can even save crops from extinction. Before the GE Rainbow papaya, for instance, Hawaii’s papaya industry was on track to be wiped out by papaya ringspot virus , a viral disease spread by aphids. A similar problem is unfolding in Florida right now, where citrus greening disease is destroying the state’s orange groves. GE appears to be the only recourse. But there are also challenges associated with genetically engineered crops. The Roundup-Ready trait may be contributing to the phenomenon of Roundup-resistant “super weeds.” Gene drift has been documented, so farmers need to take precautions to avoid contaminating nearby fields of conventional and organic crops. Ultimately, consumers will decide the fate of Jiang’s potatoes and all other genetically engineered crops.